Our programme offers a variety of international opportunities to undergraduates. 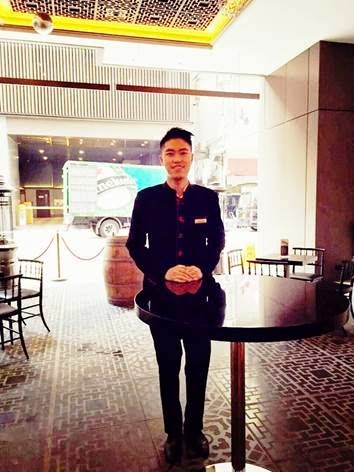 Lawrence Tang is currently undertaking a placement at the stylish Mira Moon Hotel in Hong Kong. He joined as a front office trainee and thought he would simply be checking guests in and out of the hotel, but Lawrence quickly realised there was much more to the job than this. He said: "Checking in and out is just a little part of our work. We need to learn to handle different things in a variety of situations. "The first week I worked as Concierge, which requires me to be very knowledgeable about the local area and Hong Kong tourism information without needing to use Google in front of guests. "When I work on the reception desk, I need to keep the conversation going with guests as well as doing the check-in process. In some cases we might need to up-sell an upgraded room which develops my sales skills. "Checking-out needs to be really fast, as guests don't like to wait and we also have to make sure the bills have been charged properly." During his time at the Mira Moon, Lawrence has also gained experience with the Food and Beverage department, helping with the smooth running of a wine-tasting event at the hotel. Prior to going to Hong Kong, Lawrence spent three months on placement in the USA at Universal Studios.